AloeVera.com responds to an article by the popular news site, PopSugar, and their take on the benefits of using aloe vera products. Researchers believe that the complex carbohydrates found in the juice are where this plant's powers truly reside. AloeVera.com has provided free information on aloe vera products, and the plant itself, since they were first founded. 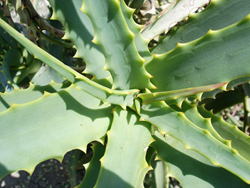 The company continues to be the most popular site for popular sources for aloe-related information online. The team at AloeVera.com agrees completely with this statement and wanted to take the opportunity to add a few things as the company rolls out with their new set of articles that support the health benefits of aloe vera products. In conjunction with reports that aloe vera can reduce blood sugar levels, helping people with diabetes, and reduce cholesterol as well. “The article released by PopSugar goes into these topics, as well as mentions how aloe can help improve digestion problems, however, they do miss a few key details that made aloe vera the power product it is in recent years,” said AloeVera.com spokesman, Ben Danson. The elements that the magazine was missing, according to Davidson, was the fundamental use of the product to treat skin problems. Davidson believes the article glances over that fact and as AloeVera.com releases a new set of articles that list the benefits of using aloe vera products, they want to make sure people know what aloe vera products can really do for them. Along with helping with many internal health issues, the product can also be used to treat damaged hair, rashes, and sunburns. The cheap and efficient plant is something that can be used in a variety of ways and the team at AloeVera.com wants to make sure people know every way they can use the plant for their benefit.